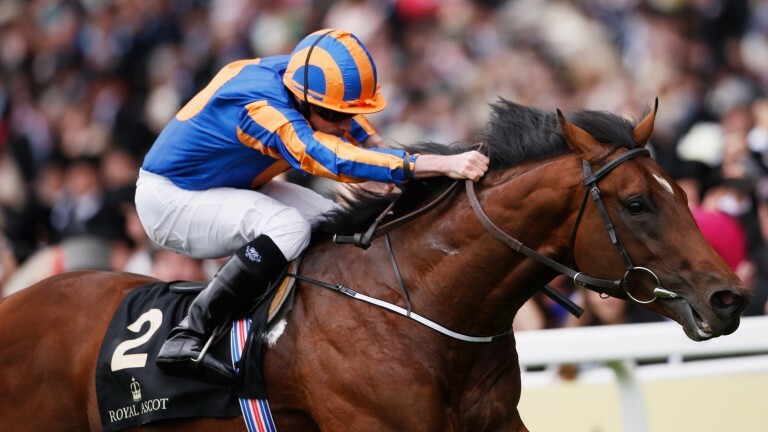 Is the pedigree of 2,000 Guineas favourite Churchill as cast-iron as his form claims? Which dark horse in the fillies' race has arguably the best pedigree in the field? Those topics and more come up for discussion as agent Ed Sackville joins the bloodstock team to mull over the first Classics of the year in a special Postcast. The panel's views on Frankel's flying start as a stallion, Galileo's success as a broodmare sire and Acclamation's chances as a source of Classic winners come up in conversation. Ed - who sourced Sky Lantern as a yearling for €75,000 - also gives us an update on the 2013 1,000 Guineas heroine in her paddocks career. To listen to the Postcast, click below.